October 24, 2018 by Laurie 6 Comments This post may contain affiliate links, which means if you click on a link and purchase something, I may earn a small commission (at no additional cost to you.) See my disclosure policy HERE. 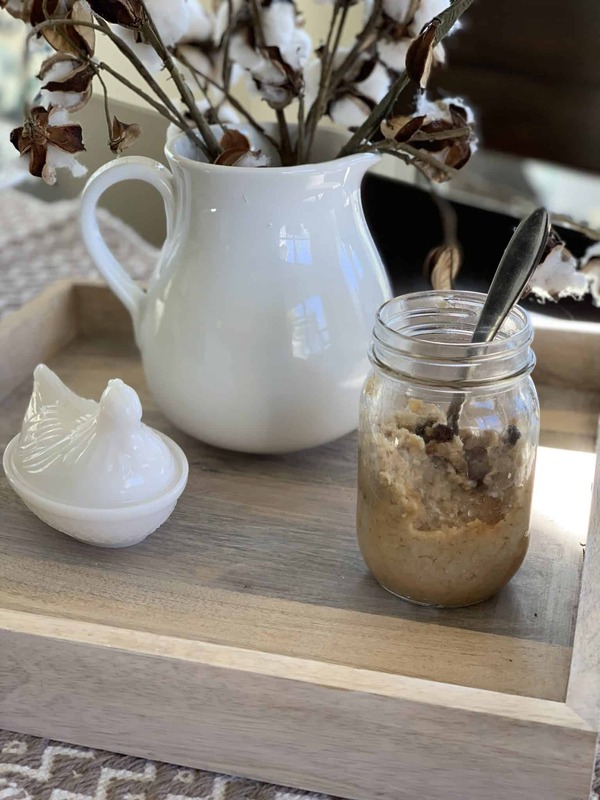 Lots of folks comment when I share a live video on PPP's FB page that they love that I'm always “keeping it real.” This Crockpot Oatmeal is just the truth. If you want real, here. you. go. I was able to ward it off with some Excedrin Migraine and a big cup of coffee, but I kept working through the night and by bedtime I was toast. 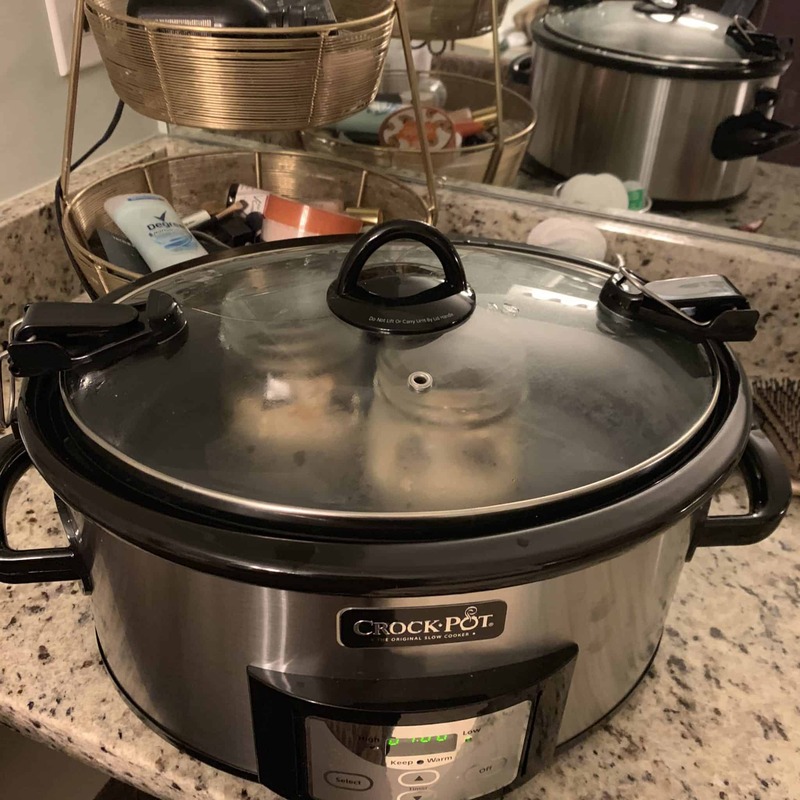 But for some crazy reason as I was cleaning up the kitchen, I thought about how those amazing crockpot mug brownies that we'd made yesterday could easily turn into a way to make all kind of things in the crockpot. I started dreaming up chicken tortilla soup in mason jars in a crock, spaghetti in mason jars in a crock, ravioli in mason jars in a crock . . . all. the. things. 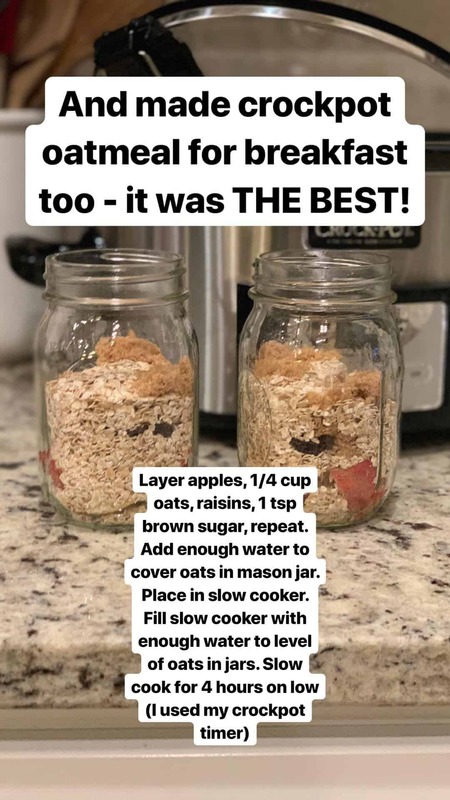 I did a quick google search and saw a few bloggers had tried crockpot oatmeal in mason jars, and thought I absolutely had to try it out. 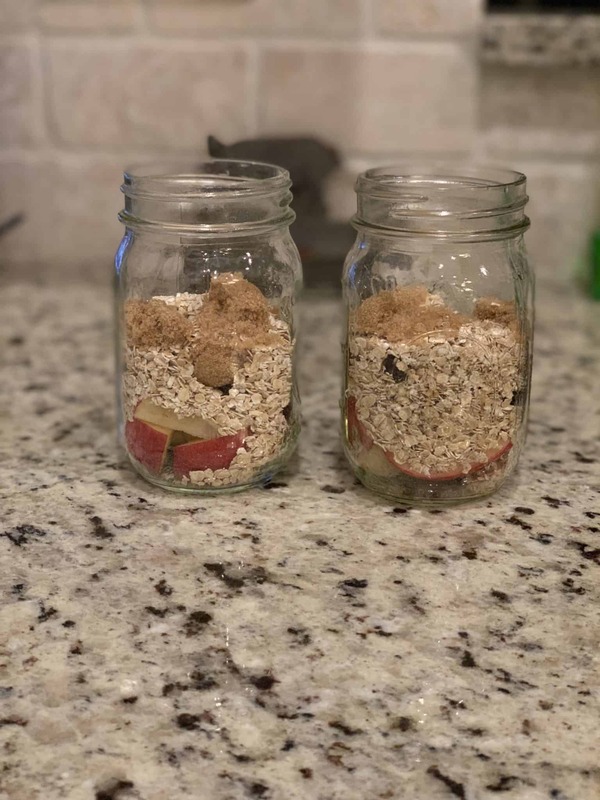 Added enough water to cover oats in mason jar. 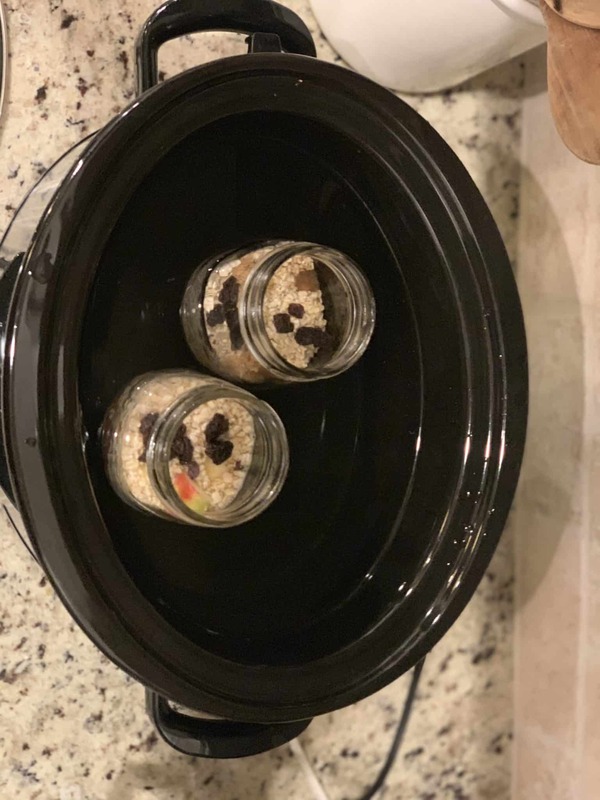 Placed mason jars in slow cooker. 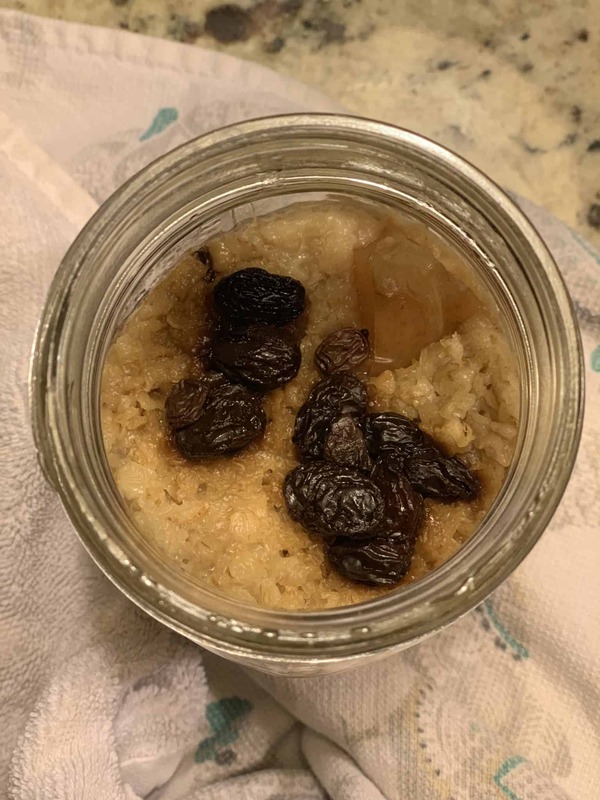 Filled slow cooker with enough water to match the level of oats in jars. She cooked all night long. And delivered me yummy delicious warm oats when I woke up today. With my crazy crockpot oatmeal and me. Mercifully, the headache has subsided a bit today, and my belly is happy and full with warm toasty oats today too. Did you have it on low for 4 hours and then on warm till morning? My crockpot defaults to warm when the timer is finished. Hi Eve! 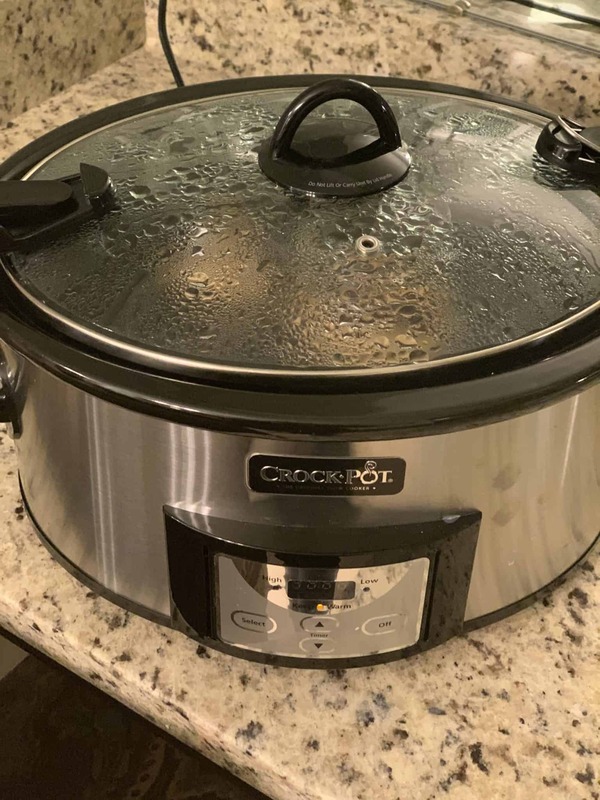 Yes – I cooked on low then it automatically turned to warm. Perfection! So the bathroom part was just so you didn’t burn the house down? Makes sense to me!